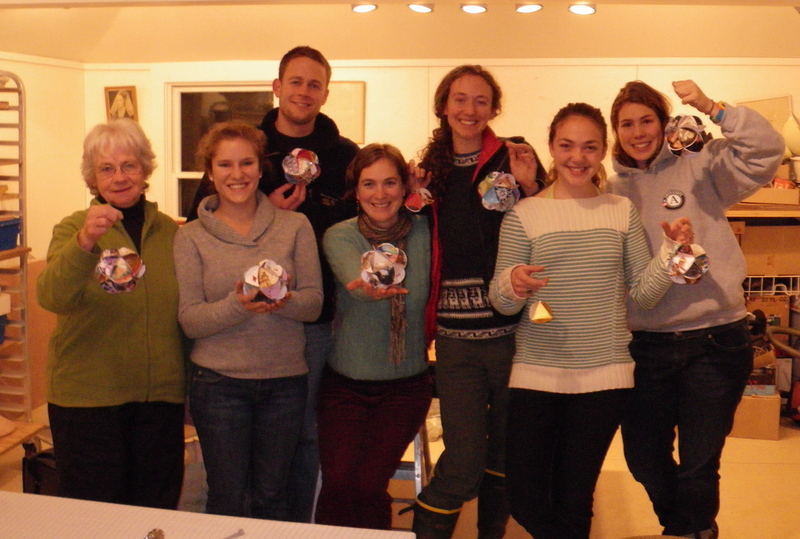 Kaitlyn Duggan, an Islesford potter, hosted a combined open house and ornament-making party on Dec. 20th. 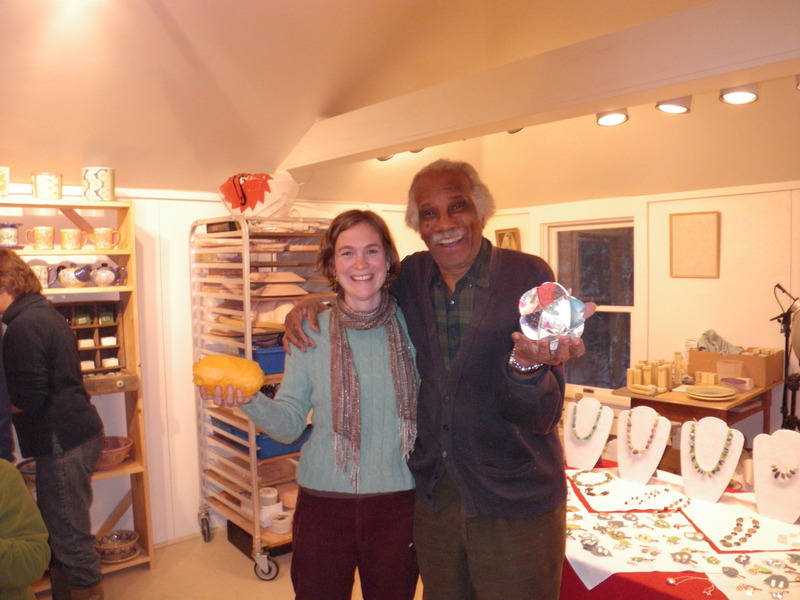 She invited me to participate with my jewelry and we each had some last-minute shoppers. 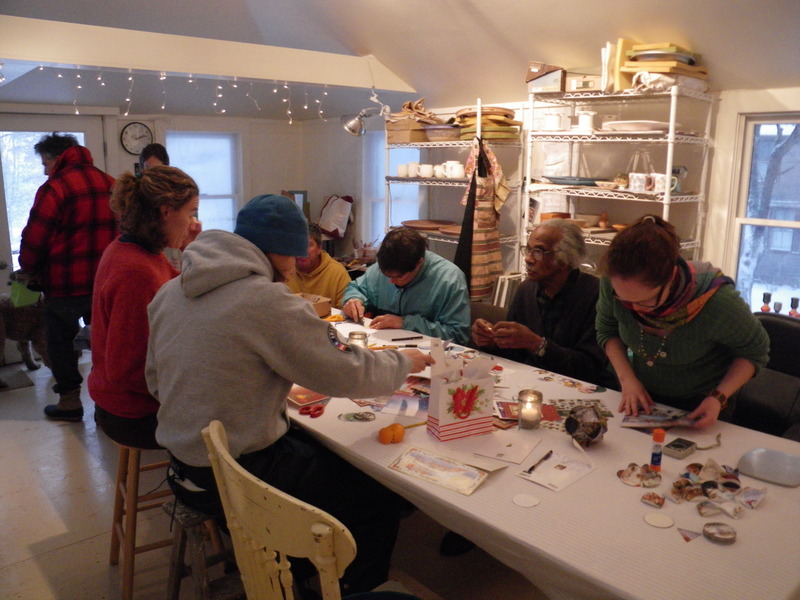 In the midst of a snowstorm, many of our friends came to Kaitlyn’s winter studio (a.k.a. 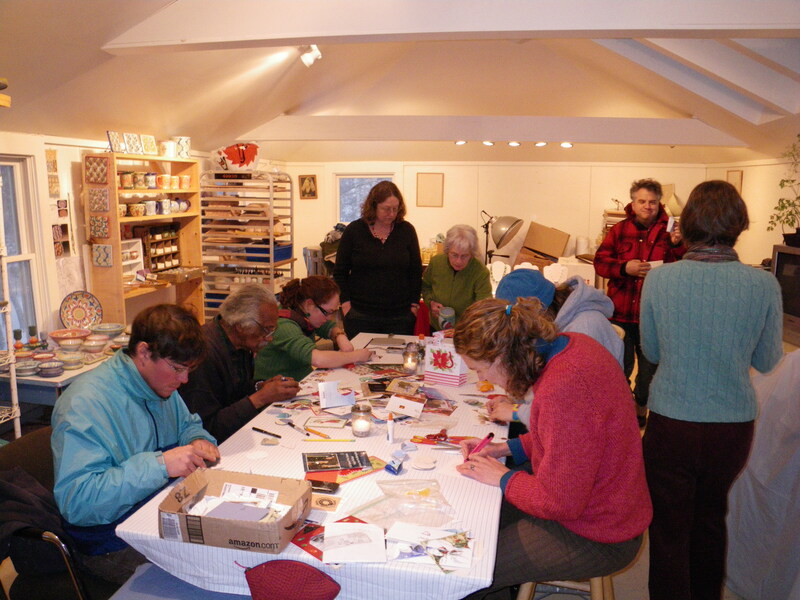 the summer studio of sculptor Philip Grausman) to eat some goodies and make ornaments out of old Christmas cards. It was a pretty swell time, and a break from rushing around to get other things done before the rest of the holiday. Ashley was especially excited with his result, but I’m not sure what Kaitlyn is holding! More happy results and a secret…. yay! happy new daughter-in-law to you!!!!! Hey Loretta! We have our fingers crossed for an Islesford wedding…even though Stephanie is from Connecticut…. Congrats to all. Happy mother-in-law-to-be best wishes! !